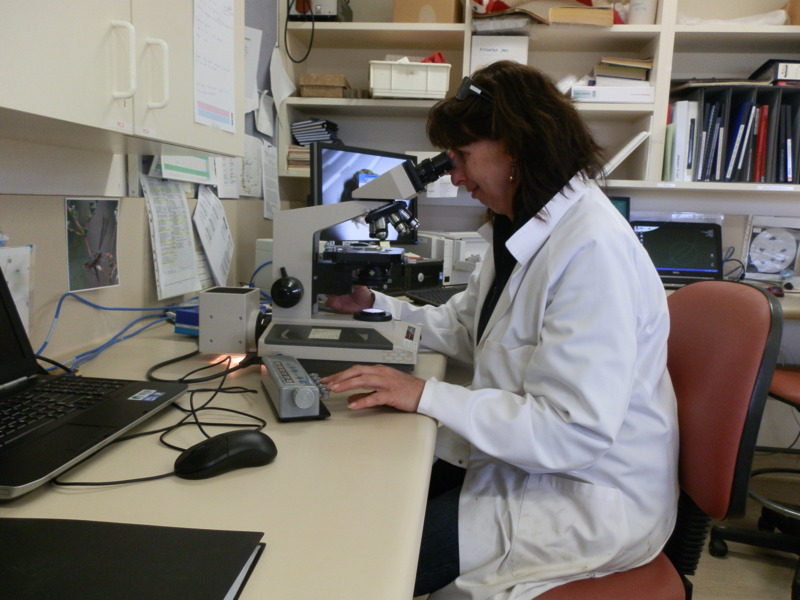 The sheep industry relies heavily on drench chemicals to control sheep worms but in Western Australia (WA) worms have become increasingly resistant to drenches. Resistance now affects most drench groups including all the macrocyclic lactones (MLs; ivermectin, abamectin and moxidectin) and the drench combinations — in some cases including ‘triple combinations’; an ML plus a benzimidazole (white) and levamisole (clear drench). The only groups to which resistance has not been detected in WA are monepantel and the new derqantel-abamectin combination. Drench resistance is a major limiting factor to profitable and sustainable sheep and wool production and it is important that we preserve the few remaining effective drenches. Resistant worms comprise only a tiny fraction of the total worm population when a new drench group is introduced. However, with repeated exposure in situations where resistant worms have a survival advantage over non-resistant worms, their proportion of the population increases. As resistance is genetically-based, this increase is permanent within a particular population, hence the resistance level does not decline to initial levels over time. Resistance has remained common to the older drench types, even though their use has markedly decreased. Further, resistance to one drench type means resistance to others in its class, although there may be potency differences that allow some in the class to remain relatively effective even though others may be less effective. Under-dosing: it is important that sheep weights are correctly estimated and the dose is set to treat the heaviest in the group. Frequency of use: the more that worms are exposed to drenches, the greater the chances that resistant worms will survive. Drench use should be restricted to treat worm disease outbreaks or in preventative programs. Long-acting drenches: drench products that remove ‘susceptible’ (non-resistant) worms living in the gut and also kill incoming susceptible larvae from the pasture bias the population in favour of resistant worms that can survive the treatment. The benefits of protection from the effects of worms must be balanced against the risks of resistance and long-acting products should be used only in a planned program to ensure some non-resistant worms survive. Use of less-effective drenches: the more worms that survive a drench, the larger the number left to produce eggs and increase the resistant population. This is especially important where there are few worm larvae from non-resistant worms to dilute resistant types (see below). Programs that allow only resistant worms to survive: drenching onto ‘worm safe pastures’ where there is no pick-up of larvae from drench-susceptible worms allows the resistant worms that survive treatment to become the major source of future populations. In WA, the classic situation is with ‘summer drenching’, where the downside of good worm control is an increased risk of resistance. Sheep worms – sustainable summer-autumn worm control outlines recommendations to manage drench resistance while achieving good worm control. Introduction from other properties: worms with a higher level or different pattern of resistance can be imported from other farms. Sheep should always be drenched with a combination of several drench groups whenever they are moved onto a new property. Worm control programs should aim to minimise the development of drench resistance, through appropriate timing of drenches and the use of non-chemical approaches. The drench resistance test — also known as the Worm Egg Count Reduction Test (WECRT) — is used to determine the effectiveness of the various drenches. This test can be used to check any drench group. It is recommended that a drench resistance test be carried out about every two years to monitor drench performance. A veterinarian or animal health adviser should be contacted to plan the test and arrange the worm egg counting. Table 1 Estimated prevalence of drench resistance in WA from recent DAFWA test records. (Resistance refers to less than a 95% reduction in worm egg count in a WECRT.) Note: *Teladorsagia: commonly known as black scour worm, previously named Ostertagia.